State Bank of India has published notification for appointing candidates on 08 Faculty & Marketing Executive Vacancies. Candidates may fill up their application form for SBI SO Recruitment 2019 from 04 March 2019. 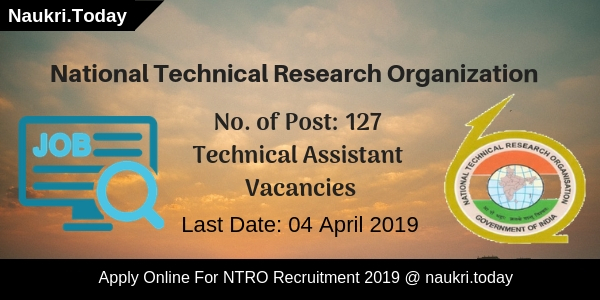 Participants may apply online before the last date 24 March 2019. Aspirants should have post graduation & MBA Degree in relevant subject for SBI Jobs 2019. General & OBC Category applicants have to pay Rs. 600/- as an application fee. SC/ST/PWD/EWS Candidates need to submit Rs. 100/- only. For more details, candidates should read below article carefully. What is the Application Fees, Pay Scale & Selection Method for SBI SO 2018 Vacancies ? How To Fill Online Form for SBI SO Recruitment 2018 – State Bank SO Jobs Online Form ? Candidates must have Post Graduation Degree in relevant subject from any recognize university. Participants should have an MBA in relevant subjects with minimum 55% marks, & two years of working experience. 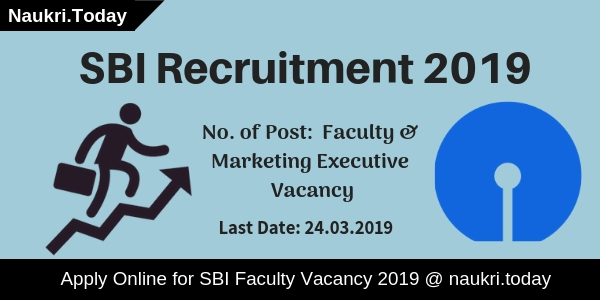 What Is the Pay Band For SBI Vacancy 2019 For Faculty & Marketing Executive Posts? The Department will pay a good amount of salary to the selected applicants for SBI SO Recruitment 2019. Here we provided you table which consists of details regarding Payscale. What Is The Mode of Payment of an application fee for SBI Jobs 2019? Candidates should pay their application fee through online mode as well as through offline mode. For online payments, aspirants should use their Credit Card, Debit Card, & NET Banking. Participants should rake bank challan for offline payment of an application fee for SBI Bharti 2019. Conclusion: State Bank of India has released notification for recruiting candidates on 590 Faculty and Marketing Executive Vacancies. Candidates may fill up their application form for SBI SO Recruitment 2019. Are you searching SBI SO Recruitment 2018 Latest Notification??? If yes, then you can collect it from here. State Bank of India has published the advertisement for recruitment of 47 Specialist Cadre officers Vacancies. There are Sector Credit Specialist, Sector Risk Specialist & other Vacancies. Applicants those are interested and eligible also for State Bank SO Vacancy may apply through online mode only. The online application form starts on 30.10.2018. Candidates can submit their SBI SO Vacancy Application Form on or before 22.11.2018. Rest information you can get from below article. State Bank of India is inviting online application form for filling up 47 Specialist Officer Vacancies. This is a great opportunity for those candidates who fulfill eligibility criteria. SBI SO Jobs 2018 online application form is available from 30.10.2018 to 22.11.2018. Furthermore information like how to apply online for SBI Specialist Officer Vacancy? eligibility, selection procedure check below section. Candidates who wish to apply for State Bank of India SO Recruitment 2018 must fulfill eligibility criteria also. It includes education qualification, age limit, experience, and other information. Before apply online for SBI SO Recruitment 2018 must check the eligibility conditions. Analytics Translators: B.E/B.tech/MCA/MBA/M/Stats. (ISI Kolkata) For more check official advertisement. The minimum age require for SBI SO Recruitment 2018 is 25 years. Candidates should not be more than 35 years for Specialist Cadre Jobs. Upper age relaxation is applicable for SBI Specialist Officer Recruitment 2018 as per govt. norms. Applicants will shortlist on the basis of their qualification and experience. After that, selected candidates will be called for an interview. The final selection will get made according to marks secured in Interview only. For more information, you can also check SBI SO Recruitment 2018 Notification. Those candidates are belonging to General & OBC category have to pay Rs. 600/-. While SC/ST applicants need to pay Rs. 100/- for SBI SO Vacancy Application Fees. Fees will be deposit through online mode only using the payment gateway. Grade III: Rs. 42020-1310/5-48570-1460/2-51490/-, CTC 19.50 lakhs p.a. SMGS-IV: Rs. 50030-1460/4-55870-1650/2-59170 23.00 lakhs p.a. Interested and eligible candidates may apply for State Bank SO Vacancy through online mode. The online application form is available here at the end of the article. Before apply online for SBI Specialist Officer Jobs 2018, applicants must keep scan copies of the document, a list is available below section. Now follow some given below instructions. First of all, go to the official site sbi.co.in. Click on the link apply online for SBI Specialist Officer Vacancy. First, register your personal information to collect registration number & password. You receive your registration number & password on your registered email id. Enter other remaining information on your SBI SO Recruitment 2018 Online Form. Make payment of application fees for State Bank SO Jobs 2018. Form-16/ IT return as on 31.03.2018, current salary slip etc. Conclusion: State Bank has issued notification for employment of 47 Specialist Cadre Officers Vacancy. Applicants those are interested and eligible for SBI SO Recruitment can fill online form either here or official site. The online form is available from 30.10.2018 to 22.11.2018. Are you searching SBI SO Recruitment 2018? If yes, then here is a golden opportunity for you. State Bank of India has recently published notification for filling up 119 Specialist Cadre Officers. Applicants who are interested and also eligible for SBI Vacancies may apply through online mode. You can fill the SBI Specialist Officer Online Form from here or direct official site. The last date of Apply online is 07.04.2018. State Bank of India is inviting online application for recruitment of 119 SME, DGM & DM Posts. Applicants who are searching SBI SO Vacancies may apply through online mode here. SBI Specialist Officer Jobs online application form is available from 20.03.2018. Further information about State Bank of India Jobs is mention in this article. Please read below section carefully for further more details. Candidates who are interested in SBI Jobs check given below vacancies details. You can also check State bank of India Specialist Officer Vacancy details on official notification, which is also mentioned below section. Candidates who wish to apply online for SBI SO Recruitment 2018, also fulfill eligibility criteria. Applicants should check given below education qualification, age limit and other details to ensure that they are eligible or not. To apply for SBI Specialist Officer Jobs applicants also have post qualification experience. Furthermore, information is mention on the below section. Applicants who want to apply for SBI Manager Recruitment must have Law Degree (03 years/05 years) from a recognized University. SBI SO Jobs required qualification for SME Vacancies is CA/ICWA/ACS/MBA or 02 year PG Diploma. Furthermore information regarding qualification check SBI Notification 2018. Specialist Management Executive: Minimum age is required for SBI SO Jobs 2018 should be 30 years. Applicants should not be more than for SBI Specialist Officer Vacancy 2018. Deputy General Manager: Candidates should be equal or more than 42 years. The maximum age requires for SBI SO Recruitment is 52 years. Deputy Manager: Applicants must complete 25 years and should not be more than 35 years for State Bank of India Jobs. Upper age relaxation is also applicable for reserved category candidates. Check SBI SO Job Notification for furthermore information. Applicants who are belonging to General and OBC category require to pay Rs. 600/-. While SC/ST/PWD candidates need to pay Rs. 100/- for SBI SO Recruitment 2018. Fees should be pay through payment gateway mode. Furthermore information check official SBI Notification 2018. For SBI Deputy Manager selection will be made on the basis of written test & interview. Other post selection will be made according to shortlisting and then personal interview. SBI SO Recruitment written examination date soon published on here or official site. Interested & deserving applicants may apply for SBI SO Recruitment 2018 through online mode. Candidates who are going to fill online form, can apply till last date. SBI Specialist Officer Recruitment form available here or official site. Applicants can follow some given below instructions to apply online for State Bank of India Recruitment. First of all log on to official site www.sbi.co.in. Then you should visit to career section. Click on SBI SO Vacancy Notification 2018 link. Download State bank of India Notification and read all mention details carefully. Then you go to SBI SO Recruitment 2018 Apply Online link. Enter all required information on SBI SO Online Form. Submit your application fees and recheck your SBI SO Recruitment Form again. If all details are correct then you can submit your State Bank of India SO Online Form. Take hard copy of SBI SO Job Online Form for future reference. 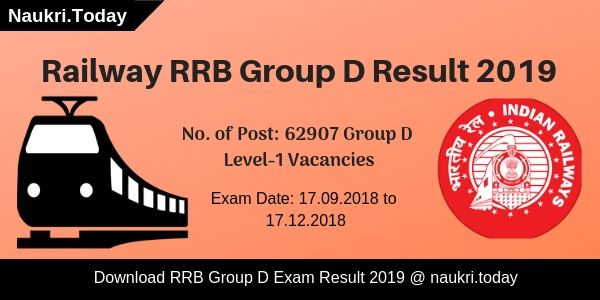 Conclusion : SBI SO Recruitment 2018 for 119 SME, DGM & DM vacancies. State Bank of India Jobs for Specialist Officer online application form available from 20.03.2018. Applicants who wish to apply can fill SBI SO Recruitment application form on or before last date 07.04.2018. Dear Applicant, If you are waiting for SBI SO Notification 2018 then here is a good news for you. State Bank of India has now issued recruitment notification of 407 Specialist Officer Vacancies. Applicants who are interested in SBI SO Recruitment 2018 can fill online form for Specialist officer Jobs from here till the last date. Closing Date of Submit online form for SBI SO Vacancies is 15.02.2018. More information about State Bank of India you can collect from below article. State Bank of India is inviting online form for filling 407 SBI SO Vacancies. Online registration for SBI SO Recruitment has been started from 31.01.2018. This is great job opportunity for all the candidates who are looking for SBI Specialist Officer Jobs 2018. Appliers must read the required eligibility criteria before filling online form. To get more information about State Bank of India Vacancies like Education, Experience, Age, Pay Scale & Other then check the given below section. Applicants in the below section we are providing Position wise division of State Bank of India Jobs 2018. You can also check SBI Vacancy Details from official notification, which is mention below. Applicants, those who are going to fill online form for SBI SO Vacancies they can check position wise required eligibility criteria from here. In the below section, our naukri.today team is providing Full details about education & Age criteria for SBI Vacancies. Candidates must have done Graduation degree in respective subjects from any recognized University. Applicants must have required work experience in respective trade for SBI SO Vacancies. Check more details about Education & experience from official notification. Minimum age of the candidates for State Bank of India Recruitment 2018 must be 23 years & Upper age should be 35 years as on 01.12.2017 for Relationship Manager Posts. Check Post wise Age Criteria which is mention in notification & relaxation in age for SBI SO Jobs 2018 is applicable only for reserved category candidates as per department rules & regulation. 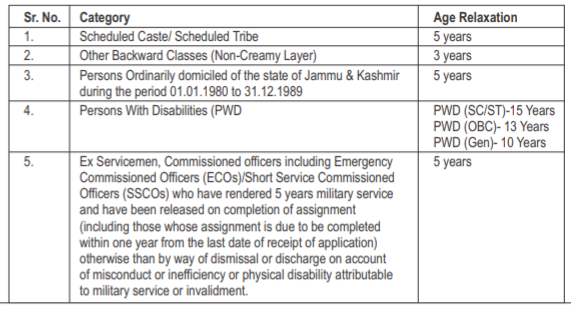 Candidates of General?OBC Cat6egory needs to pay Rs. 600/- as application fees for SBI SO Recruitment 2018. Other category candidates must paid Rs. 100/- for applying online form for State Bank of India vacancies. Fees must be deposited through online mode. Selected candidates for SBI SO Jobs 2018 will paid a good salary as per organization norms. Post wise pay scale for SBI Vacancies you can check rom official advertisement. Candidates will selected for SBI SO Recruitment 2018 on the basis of Shortlisting & Personal Interview. Final Merit List will mad eon the basis of Marks obtain in Interview. For more details about SBI Jobs 2018 Selection Criteria from official notification. Interested & eligible Candidates for SBI SO Recruitment 2018 can fill online form here till the last date from here. Read the below step by step process of applying online form for SBI Vacancies 2018. Now go to career Section & click on SBI SO Jobs Notification link. Read all the information mention in State Bank of India Recruitment Notification. Fill all details mention in SBI SO Online form. Upload your scanned passport size photo in form & Signature properly. Deposit application fees & Recheck all details filled in form. Conclusion: – SBI SO Recruitment 2018 For 407 Specialist Officer Vacancies. Candidates can fill online form for SBI SO Vacancies on or before the last date that is 15.02.2018. Check more information by reading State Bank of India Jobs Notification & Above article.